Today, we’re going to look at how to host a website built with Lektor on Netlify, including setting up continuous deployment. The interesting thing about Lektor is that it comes with a built-in GUI CMS and a Mac app. This makes content creation less daunting for newer users. Let’s start from scratch. If you already have a Lektor site set up, you can skip straight to the Preparing for deployment or Connecting to Netlify sections. This guide assumes you have Python installed. Lektor allows for an easy install, either with a Mac app or through the command line. If you are running the Lektor app, after installation, launch the app. In the Mac menu bar, click Lektor, then Install Shell Command. Now that you have Lektor installed, let’s put it to use. Lektor will ask you a few questions to get your project started. For the purposes of this tutorial, name your project Netlify-Lektor. If you see something in square brackets after the question, that’s the default setting. You can change the settings to meet your needs. Now that that is all out of the way, let’s play around with the site. Lektor has a built-in server that allows you to see your work as you tweak things to your liking. This launches an instance of your project at localhost:5000. Go ahead and open it up. 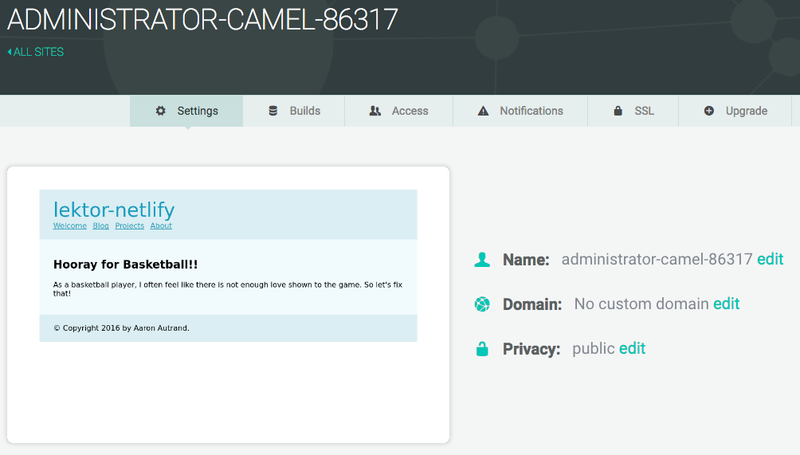 Click the pencil in the upper right hand to launch the admin panel. In the left hand column, you will see the actions you can use to edit the page, as well as sub pages that you can navigate to (and then edit as well). To see some of the things you can do with Lektor (including changing text input fields), the Lektor team has created a basic video walkthrough to get you started. If you are satisfied with your site, it’s time to get it ready to deploy. 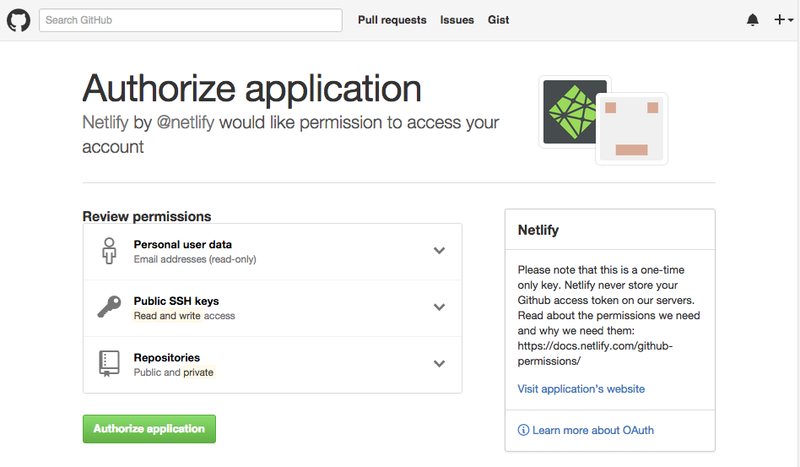 First, let’s make sure that Lektor and GitHub will play nicely together. Next up you probably want to ensure that our versions of Python and Lektor match yours! To choose a python version, create a /runtime.txt file with the python version closest to the one you use locally. Versions available are listed here. Finally, you’ll want to tell us what dependencies you have — our build environment is rather bare but we’ll automatically install everything listed in /requirements.txt — which should include at least “lektor”. For our purposes, let’s call your new repo “lektor”. Initialize the directory as a Git repository. Now that you’ve connected Netlify and GitHub, you can see a list of your Git repos. There’s the lektor repo we just pushed to GitHub. Let’s select it. Here you can configure your options. 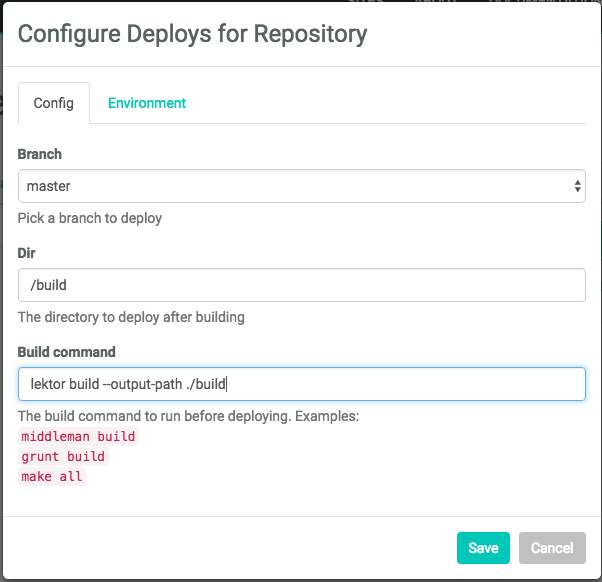 Make sure that /build is the directory you want to deploy, and enter lektor build --output-path ./build as your build command. Now it’s time to sit back and relax. 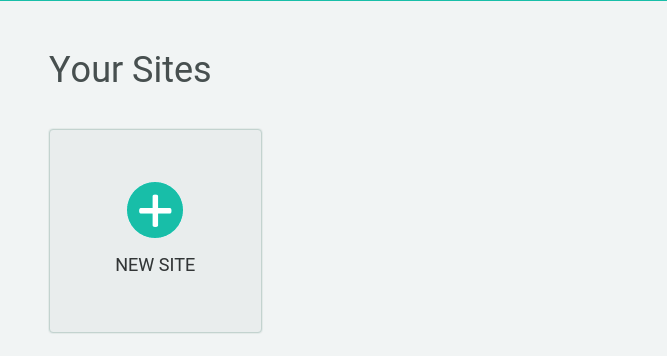 The first build will take some time, as Netlify gathers all the dependencies needed to build your site. Netlify has given your site a temporary name, and it’s now up and running for all to see. Pretty great, huh?